You are here: Home » Life Issues & Bioethics » Contraception & Abortion » Will UN Disability Treaty Burden Abortion Clinics? Planned Parenthood’s support of the UN Disability treaty has put the abortion group in an awkward position. In the abortion group’s zeal to support the treaty because it endorses the right of persons with disabilities to access “reproductive health care,” it neglects to notice that the same treaty would require abortion clinics to comply with burdensome building regulations. The UN Disability treaty seeks to ensure people with disabilities can navigate throughout society. It is not without critics, who are worried about its infringement on parental rights, national sovereignty, and – as Planned Parenthood’s support validates – threat to unborn babies. Senator Marco Rubio registered his concern and introduced an amendment to the treaty defining that the treaty’s reference to sexual and reproductive health does not include abortion. What then would she say about abortion clinics that do not meet federal standards in the Americans for Disabilities Act (ADA)? And the Obama administration’s refusal to hold an abortion clinic to equal standards? 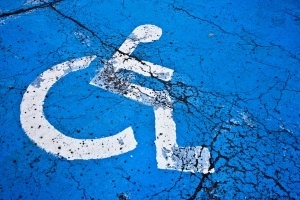 This week the Fort Wayne News-Sentinel reported that the U.S. Department of Justice declined to pursue a complaint against an Indiana abortion clinic for failing to provide handicapped parking spaces or a wheelchair ramp. The complaint was filed after women were seen leaving the Fort Wayne Women’s Health abortion business unable to walk unaided. “When women leave this facility, they oftentimes have their arms over two people as they limp to their car,” Cathie Humbarger told LifeNews.com. An observation was conducted on July 20, 2012 on 10:20 a.m. with Staff #10, Staff #11 and Staff #12 within Procedure room (D). The observations revealed a brownish red splatter approximately one inch diameter between the procedure table’s main cushion and the end of the table support cushion. Staff #10 initially identified the substance, but was unable to maneuver the brush between the two cushions. Staff #10, Staff #11, and Staff #12 determined the end of the table support cushion was attached to a metal track and was removable. Staff #10 removed the support cushion the edge of the cushion closest to the main body of the table had multiple areas of dried blood. The undercarriage of the support cushion had multiple areas w[h]ere blood had dripped and ran down the under carriage. The accumulation of dried blood varied in coloration and thickness. Staff #10 acknowledged the substance was dried blood and not betadine. Staff #10 and Staff #12 acknowledged with the accumulation of dried blood the procedure table had not been disinfected between patients.. Staff #10 and Staff #12 acknowledged with the accumulation of dried blood the procedure table had not been disinfected between patients. If this is how Planned Parenthood treats its patients inside their clinics, surely they don’t care about wheelchair ramps for when their patient leaves. Even if it ensures a gurney can get a woman to an ambulance. Abortion advocates who support the UN Disability treaty need to answer: Will they require abortion clinics to comply with building regulations to accommodate people with disabilities – and those made disabled by abortion services?